ROME, Ga. – Palm Beach Atlantic women’s lacrosse notched their second win of the season in as many games on Saturday, defeating Shorter X-X to finish their road trip 2-0. The ‘Fish scored the first seven goals of the game before Shorter was able to get on the board with 11:03 to go in the first half. PBA led 12-2 at the end of the first half and 16-2 with nearly 22 minutes to play before the Hawks scored five of the final six goals of the game. PBA continued to be led by newcomers as Lindsey Heffler led the team with five goals on Saturday. Fellow freshman Kiki Cinotti followed up her eight goal performance on Thursday with three goals and an assist against Shorter. Chelsea Smith – another freshman – added three goals of her own. The returners had a strong showing as well as Grace Bartlinski added three goals and an assist while Kate LeBlancscored twice. Julia del Carmen added a goal and an assist. Freshman goalie Abigal Nehring made four saves and allowed just two goals in her time on the field. Sarah Vernarelli also made four saves. 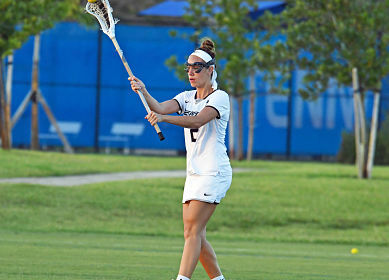 The Sailfish controlled just 12 of the 26 draw controls in the game with both teams being credited with 23 ground balls. Three Sailfish saw Cinotti, del Carmen and Olivia Warner lead the way with three each. PBA will return home after their two-game road trip to play eight straight at home, in fact the ‘Fish won’t go back on the road until April. Next up for the Sailfish is a meeting with Rockhurst on Saturday, Feb. 16 at 4 p.m.